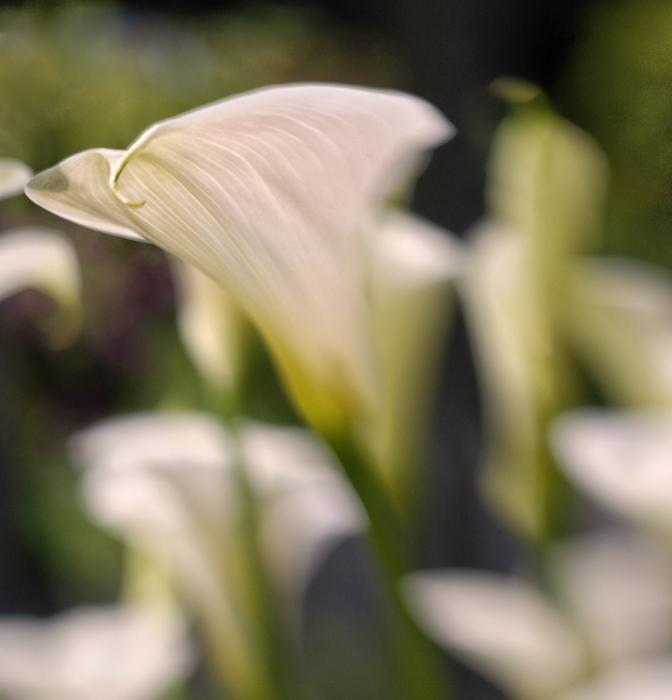 White callas (Zantedeschia aethiopica) make me think of those cartoon flowers that pop up on someone’s chest to signify that it’s all over. They are tough here but get pretty tatty looking later in the year. 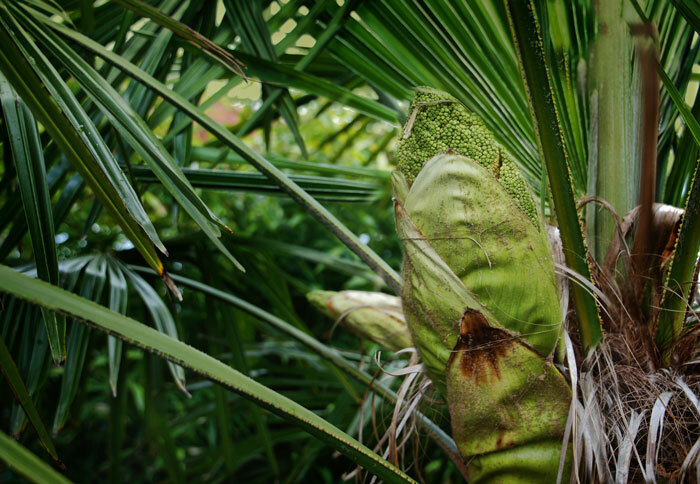 I’m pretty sure that the emerging flowers of the very hardy windmill palm, Trachycarpus Fortunei were the inspiration for the pods in “Invasion of the Body Snatchers”. Here’s a shot from last year when the flowers were more open. I don’t know what cultivar of yucca this is but it has come through some bad freezes unscathed. I did go back to this plant (gunnera) from the first of the month and crawled under to show the flowers, you can’t really tell that they are between 1 and 3 feet long. 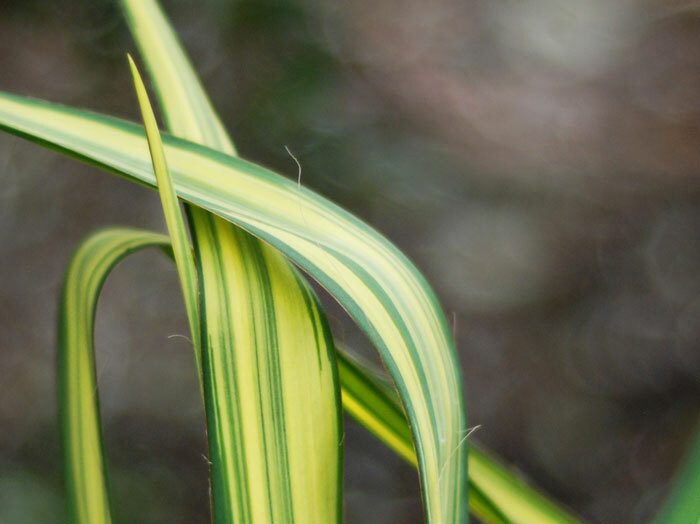 The perfect ground cover, one plant and your yard is full. 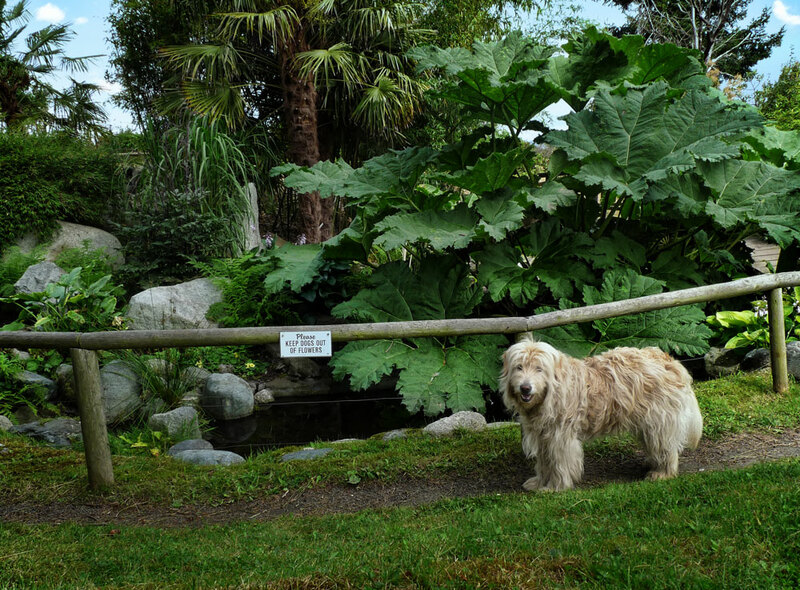 When a friend worked for the city parks he was given this gunnera from a garden in Vancouver B.C. I need to go back and get better shots of the prehistoric looking flowers. 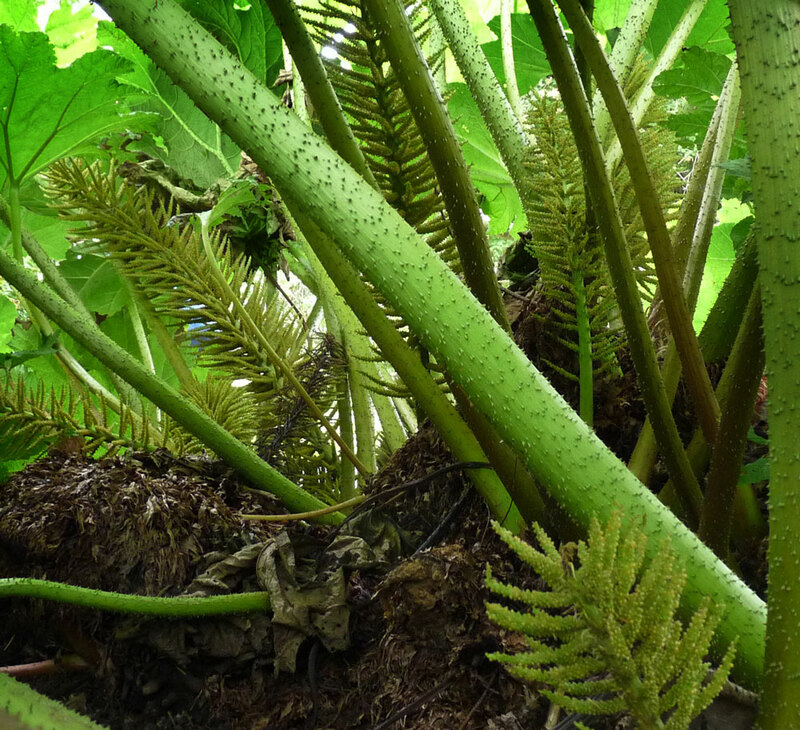 A common name for gunnera ssp. is dinosaur food. Do notice that Chloe read the sign. 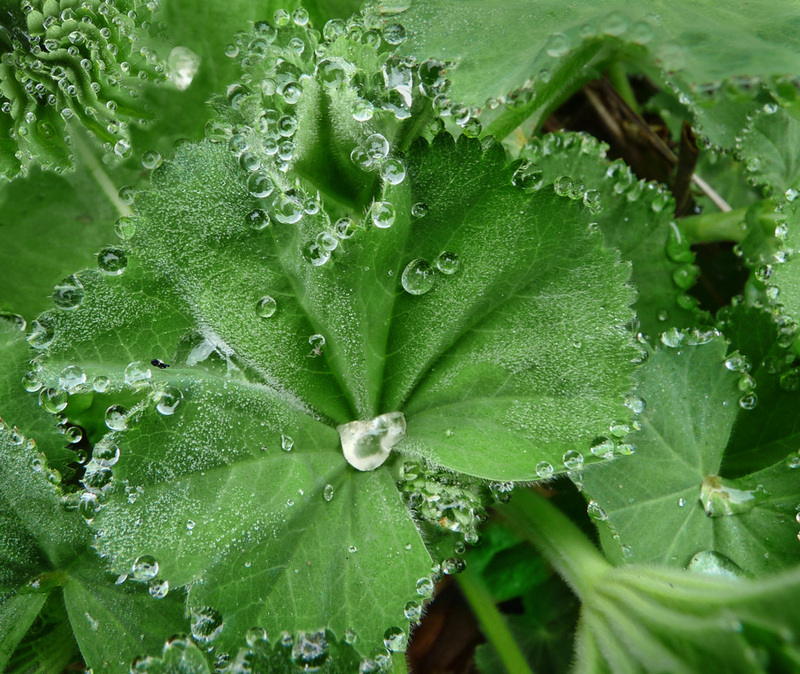 Something about the leaves of alchemilla make water hang on as cool beads. 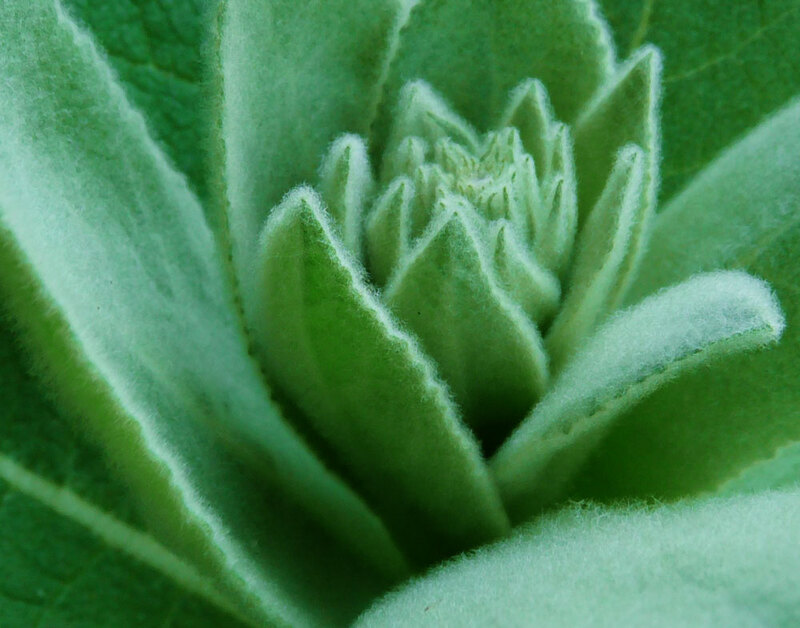 Fun plant fact: the alchemists used the water in trying to make gold, hence the name. A common name is lady’s mantle.